soothing mind, body and soul. 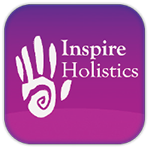 At Inspire Holistics we aspire to bring balance to mind, body and spirit, to help you be the best you can be. We also offer individual Zen Fusion Treatments as well as Zen Zone-Out Days and Bespoke Treatment Courses. FEEL BETTER, LOOK BETTER, PERFORM BETTER. I was drawn to practising Reiki, having discovered for myself the great benefits of the treatment when I was suffering from anxiety. The difference it made was simply astonishing. Sign up for all our latest news and special offers.